The SPECapcSM project group has updated its 3ds max benchmark to work with 3ds max 4.2.6. The original benchmark was developed in conjunction with CAT Production (www.CAT-zentrum.de), a German computer animation and special effects studio. The new benchmark runs under Windows 2000 and Windows XP. Since Windows XP is not supported by Discreet, the application's ISV, SPECapc will accept only Windows 2000 submissions on this site. The first scene shows an architectural visualization containing more than a million polygons. 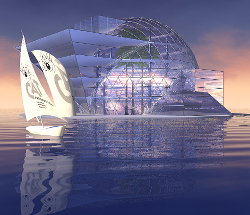 It contains many objects, glass walls for refraction and opacity tests, and some textures. Multiple light sources are used. Scene 2 is a closeup of sparks flying from wheels. Two alternative particle systems are investigated, one with a low particle count and the another with a high count. Multiple light sources are used. Scene 3 pulls back to show a juggler pedaling the wheels while juggling three balls and balancing four teapots on top of his head. The juggler consists of NURBS surfaces attached to a skeleton and animated over time using inverse kinematics chains. The scene has multiple light sources. A camera moves along a path around the character. The camera viewport is maximized. 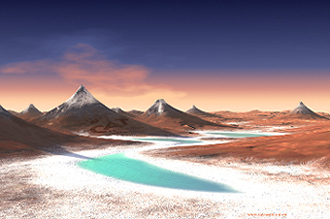 Scene 4 is a landscape modeled with displacement maps and meshes. Many textures and texture blends are applied to it. A camera moves along a path through the landscape. The benchmark is divided into 35 tasks. Each task was assigned a weight by CAT Production representing the relative time animators spend performing the task. The same tasks are further characterized by SPECapc as either graphics- or CPU-intensive.